Although surviving breast cancer is much more likely today than it has ever been before, there will still be approximately 465,000 breast cancer deaths worldwide, according to the American Cancer Society. Statistics also show that approximately 1 in 7 women will develop breast cancer over her lifetime; that 1 in 33 women will die from breast cancer. Older women are more likely to have breast cancer than younger women (although it tends to be more aggressive in younger women); and that African-American, Hawaiian, and white women are more likely to be diagnosed than Asian women. Breast cancer is one of the most common forms of cancer in women. In fact, it is actually the most common type found in women (excluding skin cancers) and follows only lung cancer as the leading cause of cancer-related deaths in women. 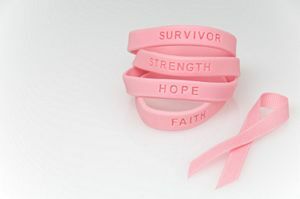 Surviving breast cancer is possible, and there are several important factors. One is prevention. What is the old saying? An ounce of prevention is worth a pound of cure. Preventing breast cancer includes maintaining a healthy diet and exercise. Olive oil has been shown to help prevent breast cancer. Adequate Vitamin D is important also. As with most cancers, the major underlying cause of it is exposure to the vast number of chemicals and synthetic products we are exposed to. Minimizing exposure to these will go a long way to helping out. If you have already been diagnosed with breast cancer, you probably have many questions about surviving breast cancer as you face treatment decisions and possible side effects. 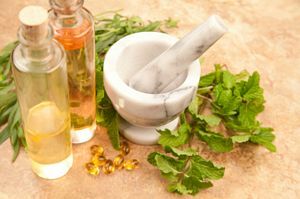 Many women explore natural treatment as an alternative to traditional surgeries (lumpectomy, mastectomy, radical mastectomy) and radiation and chemotherapy. One website that is a resource for information on cancer and treatments is Cancer Fighting Strategies. When faced with these kinds of decisions, you need information that will help you make the choice that will leave you a survivor, not a victim. CancerFightingStrategies.com can also help you find ways to supplement your doctor’s treatment choice and help reduce side effects to your treatment choice. Each cancer patient’s goal is survival—and no matter what route you choose to reach that goal, being informed is essential in arriving there.